Do Power Balance bracelets really work? This is something that has been in the media quite a lot recently. Good friends of mine swear by these, good respectable, intelligent friends. Someone directly asked me today, did I wear them. No, it seems silly to assume a bracelet will give me more energy, doesn’t it? Power balances claims: how exactly does the bracelet work? I am not entirely sure what this is meant to mean, though! If you use enough fancy words, is it meant to make it more believable?! Research: does it really work? 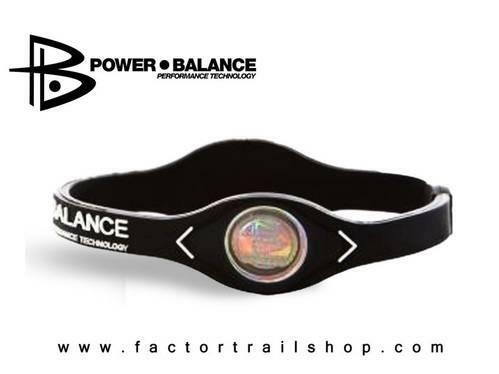 Porcari et al (2010) did research for the journal of sports science, into whether the power balance bracelet improved balance, flexibility, strength and power. They made some interesting observations. 42 athletes were tested on four tests, trunk flexibility, balance, strength and vertical jump. These tests were the same as those on the power balance test videos. The test was repeated twice, with a placebo bracelet then a power balance bracelet. There were negligible differences between the test results the first time, but much more promising the second time. They explained this as being a result of either being more warmed up, or the practice of having done the test once already. · It resonates at certain frequencies – so how did they test which frequencies work best? · We are a frequency – we are a bunch of cells help together by a frequency she quotes, but states a frequency is ‘the number of repetitions of a periodic process in a unit of time’ therefore cannot exist in isolation. She also explains a positive test done by a power balance representative on national TV, and explains how the flaws make it look like a positive test. I would certainly be interested to try it if power balance UK wanted to give me a neoprene strap to wear, however, so far, it seems there is very little reliable evidence to suggest that it works at all. To read more about the power balance bracelet research, click here. ← What are the benefits of drinking Green Tea? I'm hardly athletic. Not because I want to be, but because I have Multiple Sclerosis and my body won't let me. I am a HUGE skeptic, second only to my husband. He recently purchased one of these bracelets for me. Upon receipt, I laughed (not sure if it was at the purchase, or the idea itself). I'm no longer laughing because it works! When I was first diagnosed, I had serious gait issues. The MS I have is relapsing/remitting, but my gait and balance never recovered. Although my gait is certainly not what it was before MS, it, and my balance, have improved greatly. What does this mean? This means that even on a bad day I'm able to get so much more accomplished. Yes, I still have to take frequent breaks, but I can certainly DO more, which is extraordinarily important to a stay at home mom. I can't figure out (scientifically) how it works, I just know it works for me. i believe they work all my friends make fun of me and really skeptic about it so is my mother. The thing is since i was little i have always got bloody noses really easy along with really bad headaches all the time. wearing this bracelet helps my headaches instantly and after a little while i stopped getting bloody noses as easy as i use to. in fact i havnt had one since i put it on. i just recently lost mine and 2 days later i received a bloody nose. coincidence? i think not. whether they are legit or not. if this piece of rubber is tricking my mind into believe i will be better and not give me bloody noses or headaches anymore then it works. Ive just put mine on today and instantly felt a difference. I never believe in these kinds of thing had to try for myself. honest to god i feel different maybe i'm just making myself believe it but i feel amazing and i'll recommend them to everybody i come across. I have had surgery twice on my right knee.The last time I had a problem the Doctor said that I had no cartilage left, that I should consider replacement knee surgery within a tear.I saw and bought Power Balance Bracelet through a Groupon Offer.That was 3 months ago.My knee is no longer stiff or painful. After driving for over an hour it was hard to straighten my leg. Now even my wife notices that I do not have a problem.I took it off for 3 days and immediately the stiffness and pain came back within two days.I do not care if it is a placebo effect as long as I keep feeling the way I do know. It works!! I believe this is just an illusion. Today I bought and tried one, and I did notice a difference, but it is like when someone has a headache and you give them a sugar pill. I know this because not even today do we have the technology to interact with The humans NATURAL energy field. I am not saying it doesn't work. I mean I still wear mine. I bought mine last week. I felt no difference when I put it on. I think it depends if you believe it works the it will. Maybe not really but if you think it works for you then it does. well i long board and surf…and i personally saw a difference in performance (balance in general, at high speeds, power slides just seemed easier, standing up on the surf board is easier, carving on the wave is easier) but i think it might be an "in the head kinda thing" Like if i think my balance and flexibility will improve i might go try a bigger power slide and just so happen to be able to do it. I am a skeptic. My daughter bought me a bracelet to help with my balance and walk. I still have a balance problem, I still cant walk well and I am still a skeptic only this time a confirmed skeptic. the bracelet looks good. haven't noticed anything yet tho. mind you I have no ailments. It seems to help people that have some type of disabilty or disease more than a moderately healthy person.